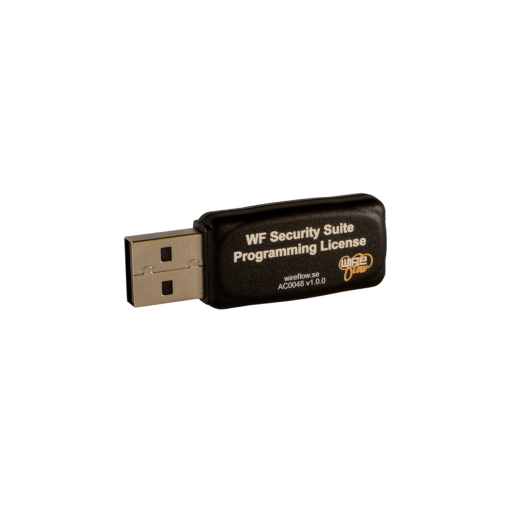 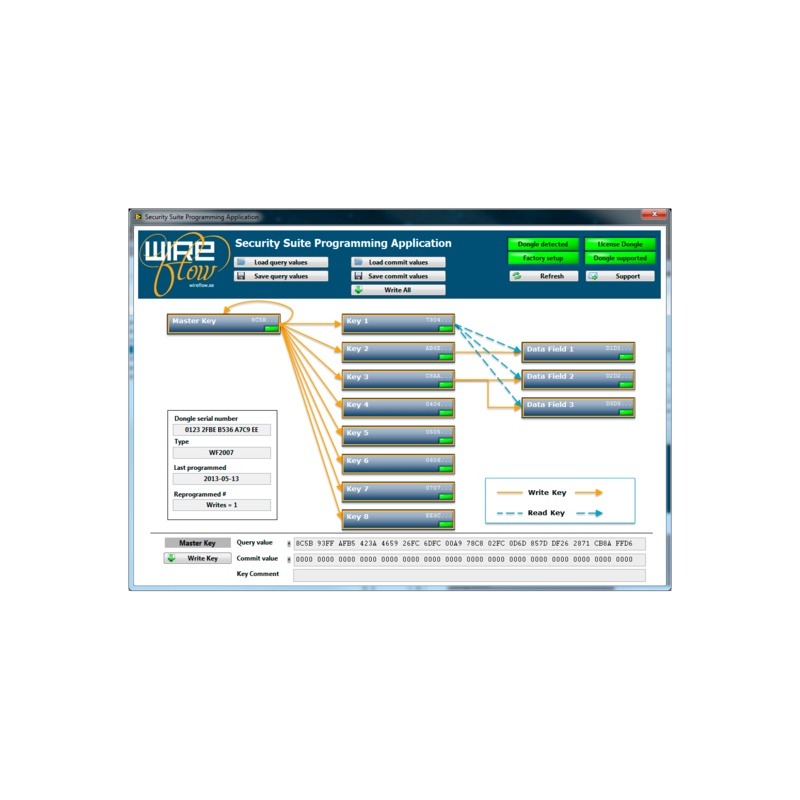 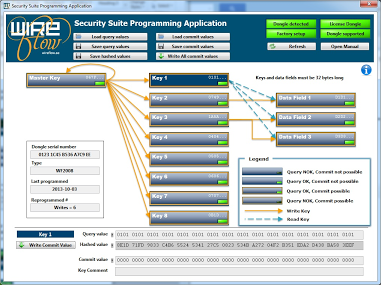 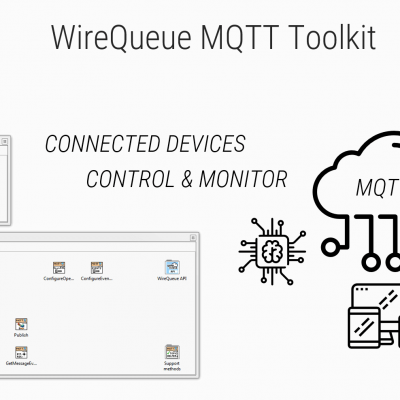 The WF Security Suite Programming Application from WireFlow is an intuitive PC application used to manage WireFlow’s Security Dongles for LabVIEW. 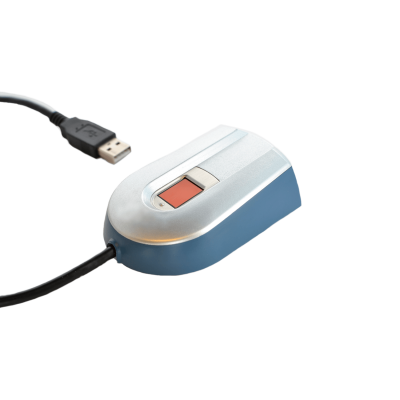 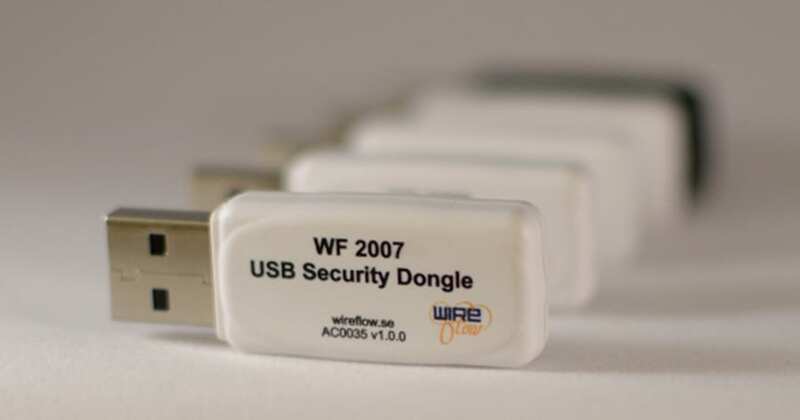 The keys and data fields of the secure memory inside the dongles can easily be programmed. The functions to load and save entire dongle setups from/to file makes the application effective for both lab development as well as for programming dongles in volume production.